Simply Vegan is aimed for everyday vegans to make veganism easy. Buy a single copy or subscription to Simply Vegan magazine. 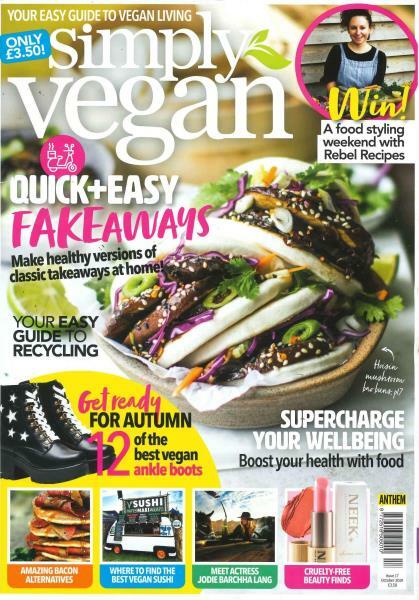 Each issue of Simply Vegan covers food and lifestyle packed with easy, accessible recipes with ingredients you’ll find in the supermarket, restaurant and café reviews, beauty reviews, high street fashion, nutrition basics and more!